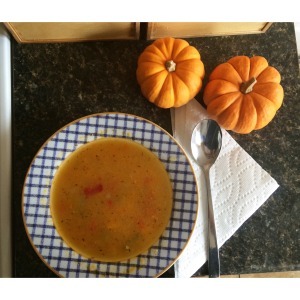 This pumpkin and corn chowder is one great fall soup! The pumpkin puts a new spin on an old classic recipe. 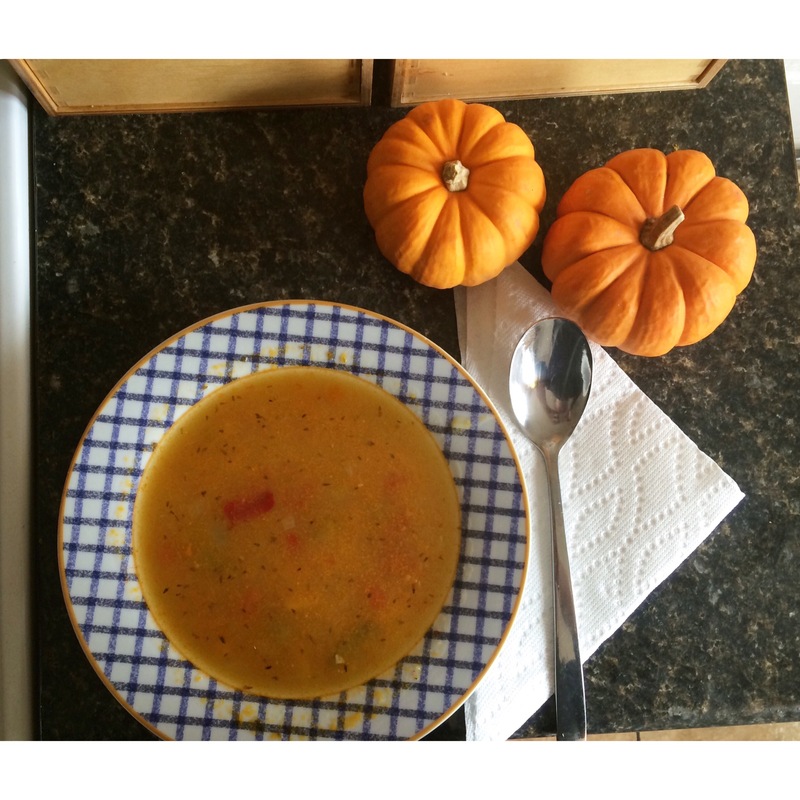 What’s more, this pumpkin chowder is dairy-free. Pumpkins are rich in carotenoids, the compounds that give the gourd their bright orange color, including the antioxidant beta-carotene, which the body converts into a form of vitamin A and cancer prevention. With only 49 calories and three grams or fiber per serving it can keep you full for longer and gives you a solid source of vitamin C as well. A cup of cooked pumpkin has more of the refueling nutrient potassium with 564 milligrams keeping muscles functioning at their best. Heat olive oil in a large pot or Dutch oven over medium heat. Add leeks and cook until very soft, about 5 minutes. Add garlic and cook for about 2 minutes. Stir in green peppers, reduce heat to medium-low, and cook until peppers soften, about 8 more minutes. Add the remaining ingredients and cook until pumpkin is tender, about 30 minutes.